Vinsight integrates with Shopify enabling you to track and analyse your Shopify data within Vinsight. Shopify orders automatically generate a Sales Order in Vinsight and automatically deplete Vinsight inventory. Go to Add-ons in the Settings > Setup area. 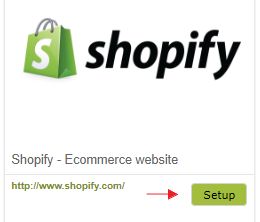 Click the ‘Setup’ Button next to the Shopify logo. Click the ‘Connect to Shopify Store’ button. 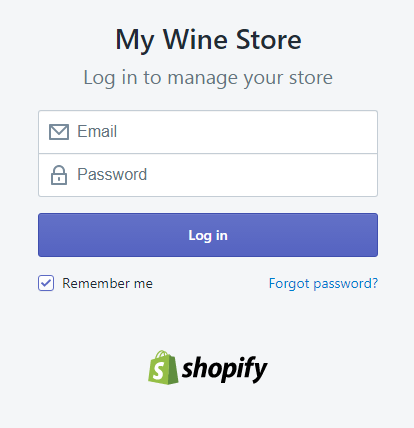 This will take you to your Shopify Store login page. 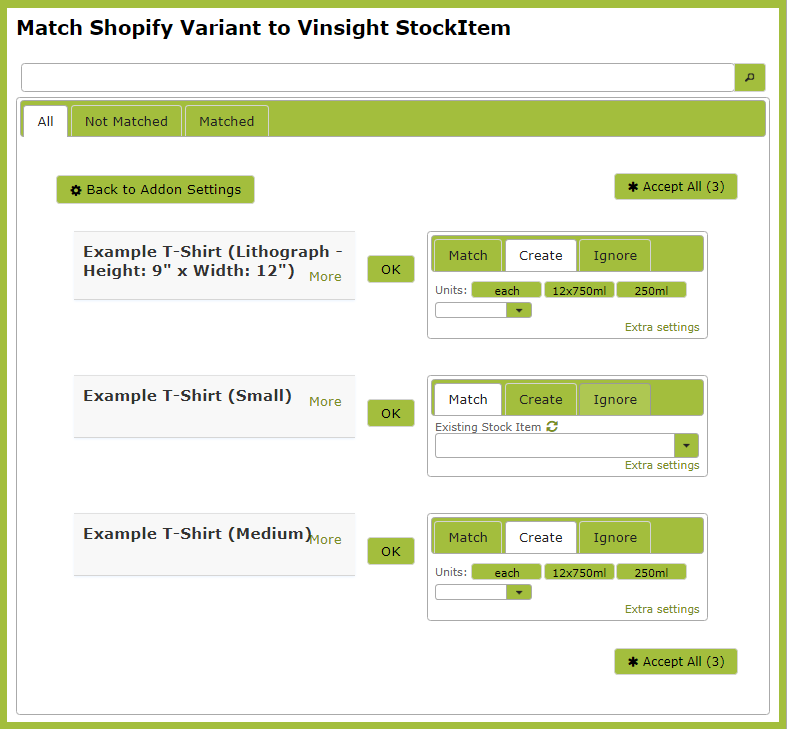 Next you need to ‘Match’ your Vinsight stock items to those in Shopify. Click the ‘Match Stock Items’ button. This will take you to a list that shows your Shopify Stock Items on the left and potential Vinsight Stock Item Matches on the right. Once your Stock Items have been matched, set up is complete. Your ‘Shopify’ sales will now be included in your Vinsight reporting and inventory tracking.